Our engineering experts can take your idea from design to rapid prototype and our cutting-edge machinery can produce and assemble your part in high volume. 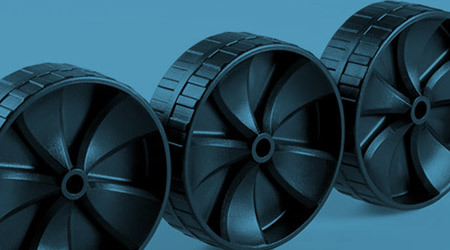 With over 30 years of injection molding experience, our experts can find the perfect solution for your project. 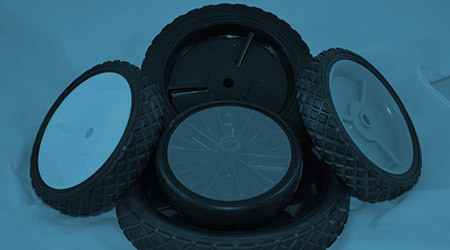 We make custom parts from fan shrouds, to motor covers, to lawn mower parts, and more. Since 1988, we have supplied custom polyurethane products to the medical manufacturing, and industrial markets. Our innovative process, cutting-edge equipment, and dedication to the highest quality design and materials means you can have the confidence that we will produce your product precisely and efficiently. Our engineering experts will work with you to find a solution that meets your specifications, time-frame, and budget. Contact us today to take your idea from initial design and prototype to mass-produced product. We produce accurate prototypes with careful attention to aesthetics and function in quick turn-around time. All our prototypes undergo rigorous testing procedures ensuring all products meet strict safety standards such as ISO 9001:2015. We will find the right tooling and production process to ensure both the quality and consistent repeatability of production.